Erez. Gaza. Palestinian Territories. 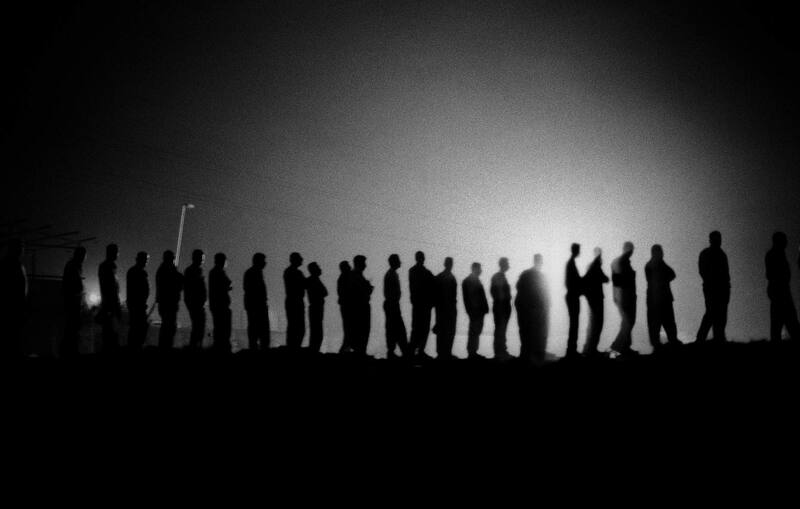 May 2005 Palestinian men lining up at 2am at Erez checkpoint, hoping to cross to Israel to work.